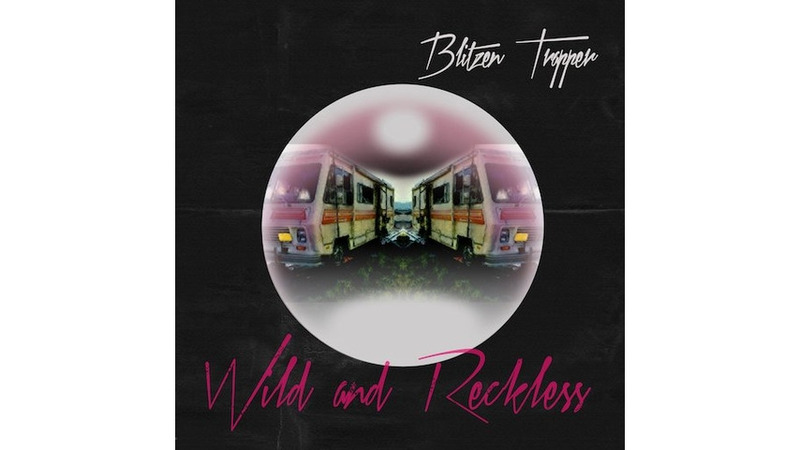 Blitzen Trapper’s new album Wild & Reckless is a passable collection of weathered folk- and country-rock jams. That’s the Blitzen Trapper way. It was true of their last album, 2015’s All Across This Land. And it was true of the one before that, 2013’s VII. You can say the same thing about almost all of this capable Portland band’s full-lengths, going way back to its spectacular peak, 2007’s Wild Mountain Nation and 2008’s Furr. In fact, songwriter Eric Earley and his mates are so consistent in sound, it’s hard to believe they once a spastic bunch of genre-hoppers and noise-makers. The earliest Blitzen Trapper releases, in the early 2000s, were restless and experimental, with fuzz-rock and tape warp and weird blues and lo-fi twang all coexisting in harmony. Back then, the band sounded like Wowee Zowee-era Pavement, if Pavement had gravitated more toward Neil Young than The Fall. I miss that spirit in Blitzen Trapper. It pops its head up here and there on Wild & Reckless. You can hear it in the song “No Man’s Land,” which begins with 90 seconds of sampled, sometimes backmasked spoken word about meteor impacts and electromagnetism as noise drones and swirls in the background. Eventually, the song blossoms into an airy, likeable chorus entangled in psychedelic guitars. It’d be the album’s strongest rocker if not for the title track, a hard-driving tune that sounds like The Who gone rootsy. It has a cool, symphonic middle section that stands as one of the album’s most inspired micro-moments. The album’s other highlights are the ones that sound most like Earley and the band’s recent foray into theater. Earlier this year, they staged a rock opera about love, science fiction and the golden era of Portland, and they called it Wild & Reckless. On the album of the same name, “Forever Pt. 1” and “Forever Pt. 2” use lush piano and strings, Beach Boys harmonies, robot voices and space bleeps ‘n’ bloops to echo the feel of the theater piece. And closing track “Wind Don’t Always Blow” has its own breezy, celestial vibe that’s reinforced by gleaming keys, shimmering synths and cozy harmonica. The album ends on a strong note. But too much of Wild & Reckless sounds like Blitzen Trapper treading water. “Rebel” opens the album with the band’s familiar loping pace and acoustic strum. “Joanna” is a sparsely arranged folk song that lifts its melody from an old Christian hymn called “Blessed Assurance.” And things really bog down in the middle, where songs like “Stolen Hearts” and “Love Live On” and “Baby Won’t You Turn Me On” seem to revisit some of Earley’s well-worn melodic ideas. These songs aren’t necessarily bad, they’re just hard to get excited about. If you’ve listened to much Blitzen Trapper, you’ve pretty much heard them before. There’s a narrative that runs through Wild & Reckless about a young couple, drugs, running from the law, dystopian something or other … I don’t know, I couldn’t hang with the songs long enough to piece it all together. But kudos to Blitzen Trapper for trying to shake off the mid-career routine by experimenting with new storytelling techniques. Wild & Reckless takes a couple steps in the right direction. This band’s optimum path, however, is still several steps away.